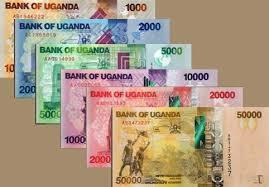 The current situation where the Uganda Shilling has crashed through the psychologically significant 3400 barrier in comparison to one US Dollar, tourists on Uganda Safaris are counting their fortunes at their local expenses for food, drink, souvenirs, gifts and art because these are becoming more cheaper while in turn the local Ugandans are staring in incredulity at rising prices. All imports entering Uganda and mainly those that require to be paid in US Dollars, suddenly need or require a lot more Ugandan local Shillings to pay for the bills. food items, Fuel, machinery, cars, spare parts and a lot more while the next import cycle all express the lower value of local currencies and the result of the price increases will show itself in higher inflation rates and lower spending ability, a lethal amalgamation for the local poor Ugandans but also for the country’s middle class which still remains on a fragile foundation. As most of Uganda safari quotations are mainly presented in US Dollars or Euros, the cost of pre-booked Uganda safari tour packages is not likely to rise though the local find it expensive and the expense incurred by travelers on safari tour will be less in their own home currency, making them happy while the local Ugandans remain unhappy since they are affected negatively. Central Bank of Uganda are expected to provide a well- coordinated counter-move to sell hard currency into the market but how much that is going to be, and for how long will it last before the green buck injection is absorbed and the downward trend proceeds, is a question which is asked by all concerned parties. The fore upcoming elections as well as lesser incomes from tourism have all amalgamated for a near perfect storm and while tea and coffee farmers will no doubt enjoy the higher incomes, they too will think again when they get their next bill for imported fertilizers. Intending tourists on Uganda Safari tour to the region should regularly monitor foreign exchange listings and, considering the latest increase in cost for a Visa to Uganda from 50US Dollars to 100US Dollar, visitors should opt for single East African Tourist Visa, which now costs the same, i.e. 100 US Dollars but allows to go through Uganda , Rwanda and Kenya.